RAILEX 2017 has now finished and what a credit it was to the Risborough & District Model Railway Club. It took place at the Stoke Mandeville Stadium over the weekend of the 27th & 28th May. I was a first time visitor and it was one of the most pleasing exhibitions I have ever been to, it was superb. The layouts were all of the highest standard and the organisers presented a fine cross section of scales from N Gauge through all of the scales up to 0 gauge. 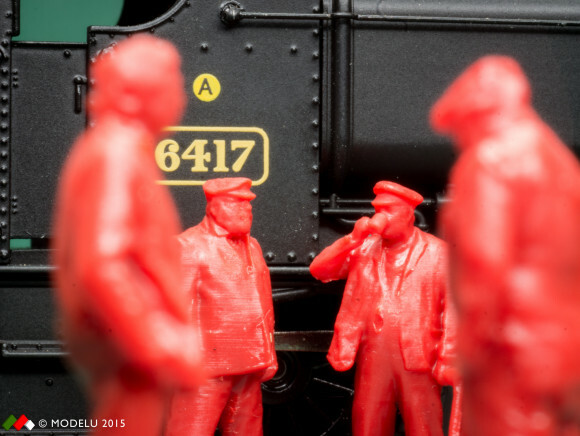 These were led by the fine layout ‘Pempoul’ being exhibited by Gordon and Maggie Gravett which was being retired from the exhibition circuit to make way for their new layout. 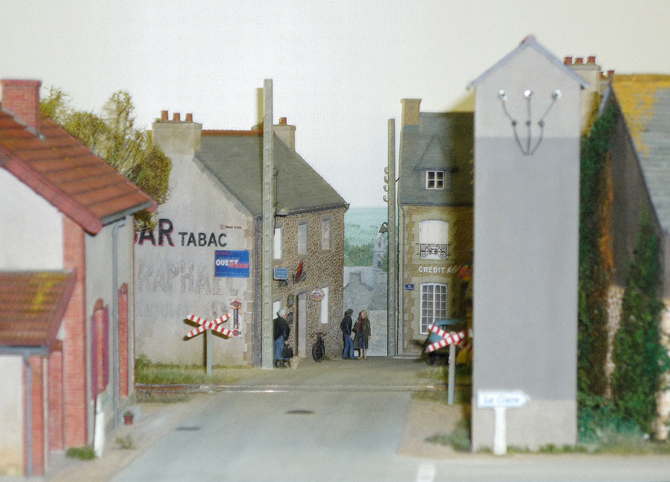 Being built to a 1:50 scale on a gauge of 18.2 mm it portrays a section of the metre gauge line on the Reseau Breton. All of the stock was scratch built as there are few commercial kits to the modeller. I wait in anticipation for the appearance of their new layout. Next to Pempoul was an 0 gauge called Tollesbury Quay, a layout which I followed the construction of in the Model Railway Journal. 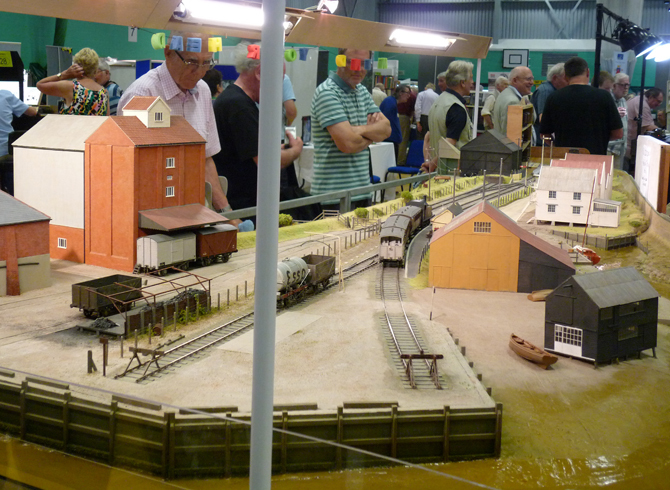 It was the first time I had see it in the flesh but unfortunately the owner of the layout had forgot to pack the backscene which tended to spoil the illusion of the creeks along the Essex coast. 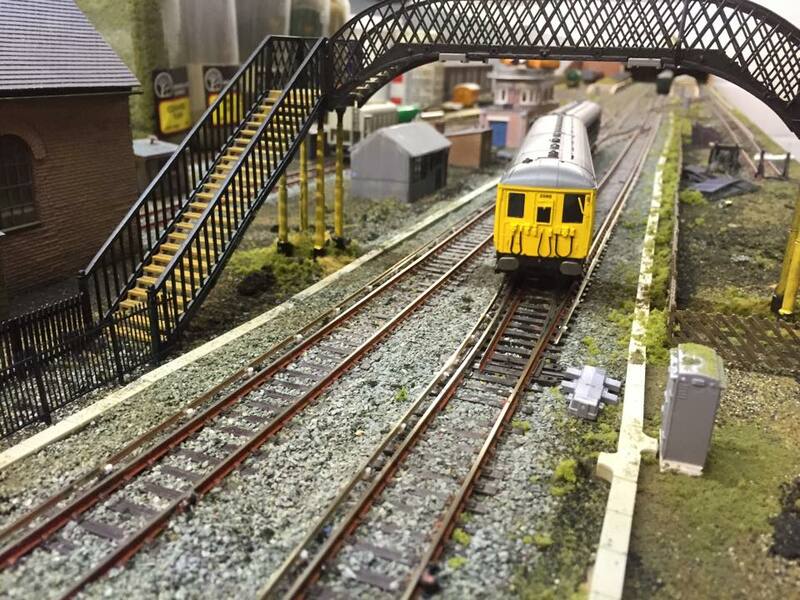 Having said all that the layout itself was of the finest quality with superb Scenics and scratch built buildings. One memorable feature was the rise and fall of the tide in the creek, achieved by using a water mix and an ingenious fill and drain mechanism. I shall be looking to see this layout again. Alongside Tollesbury Creek was another 0 gauge layout called Denton Brook. A layout which the builder refers to as an ‘industrial whimsy’. It is based on a very small corner of a minor cable manufacturing plant in the 1960’s. The layout is divided into two areas, one being served by British Rail and the other being worked by its own motive power. The highlight for me was a lorry with a crane mounted on the back and an articulated trailer lorry. Both were radio controlled and went about their business in the yard, the crane lorry loading cable drums on to the articulated lorry and it taking them off scene. Superb, technology has moved on since the ‘End of the Line’ layout. Another super 0 gauge layout was Harlyn Pier which was based on an imaginary ex LSWR branch in North Cornwall, terminating at a quayside station. 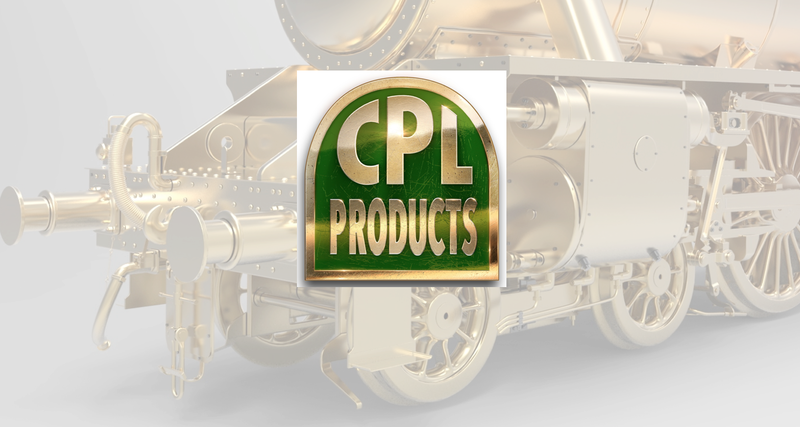 The track work was all handbuilt using C&L, TimberTracks and Exactoscale components. 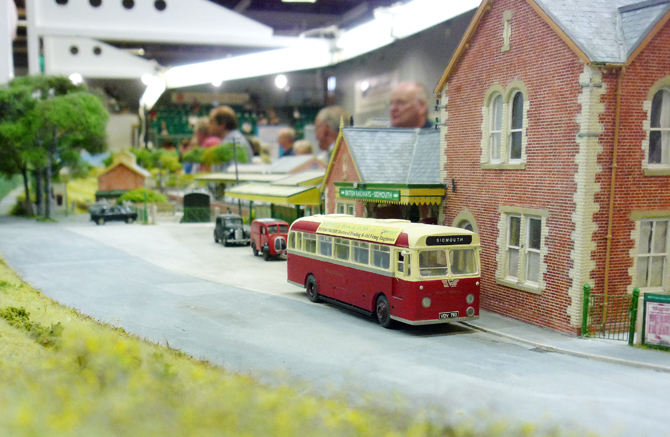 The majority of the buildings were scratchbuilt based on examples from around Devon and Cornwall, the awning over the station platform being particularly attractive. Other notable areas were the level crossing and the exposed rock pools from the tide being out. The locos and rolling stock were mainly kit built and featured such stock as found in the North Cornwall area in the period 1955 to 1965. The fourth 0 gauge layout was Pavillion End which was based on an industrial location probably in South Wales or even in the West Midlands. The location was served by the GWR and the LNWR both competing for traffic. The line was operated as a through route but after nationalisation the line was cut back to Pavillion End. The layout comprised of a small single platform with runaround loop and loco servicing siding. At the rear of the layout was an industrial siding with warehouse loading. The platform being served by a Push Pull set or a loco and a couple of coaches with the industrial siding served by its own works loco. ‘S’ scale was represented by a superb layout called Trowland, a might have been M&GN branch terminus. The main feature of the layout being that all the stock and structures are scratch built as No commercial products are available. Representing the 4mm scale was another superb layout called Sidmouth, modelled to P4 standards the layout is a true representation of the terminus as seen around 1959/1960 period. The service being more intense than the actual 15 trains in each direction per day. The only variation to the actual track plan was the sidings to the JP White works which had to be realigned and shortened, but this did not detract from the whole look of spaciousness of the layout. 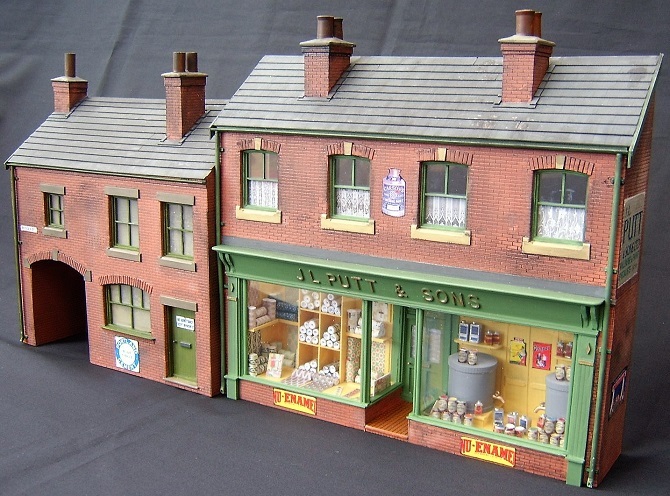 The scratch built buildings are a true representation as some of them still actually exist. 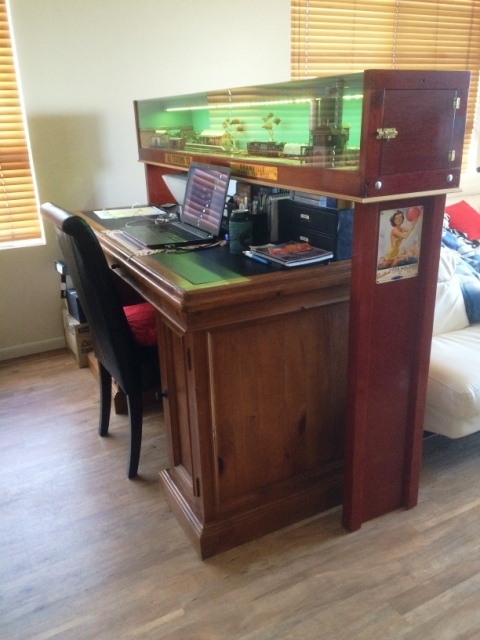 A super layout modelled to a high standard. Modelled to EM gauge standards were two layouts of exceptional quality. One was Kirkmellington an end to end layout of a Scottish Colliery set in the 1970’s. The Colliery had exchange sidings on to the BR network with its own Rail network around the colliery. A very evocative layout. The other EM layout was Westcliff a beautifully modelled GWR seaside terminus. 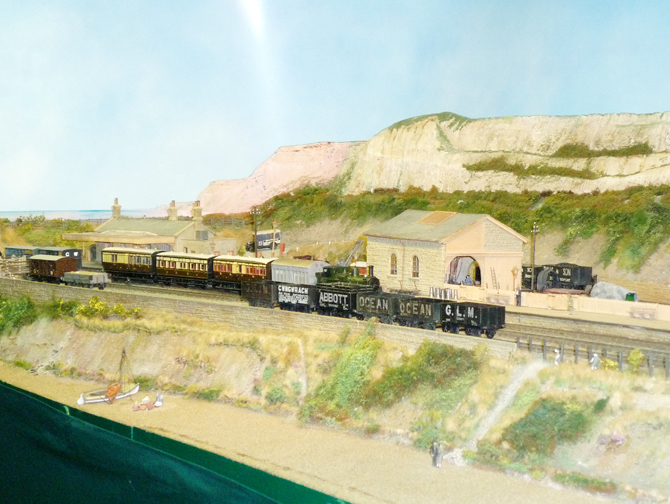 The layout is based upon the Dorset seaside town of West Bay as it might have evolved by the 1920’s. It is supposed that the station was moved out under West Cliff where it had more room. The station area was expanded to cater for the increase in traffic of the main line holiday expresses and local passenger trains, so has extensive carriage sidings with goods trains also servicing the off scene harbour. A super layout with plenty of atmosphere helped by the sounds of the sea and gulls. Still in the 4mm scale was a beautiful model of Devils Bridge on the Vale of Rheidol Railway. It was modelled to a gauge of 9mm and everything on the layout was either made from kits or scratch built. The trains were controlled by DCC with Peco Smart switches operating the points. All in all a nice small space layout. Also in 4 mm was a nice portrayal of Leemans Road part of York loco depot in 1962-1966. Operated by DCC it presented late steam and early diesel motive power in a yard setting. The model was backed by a nicely painted representation of the East Coast main line setting of the grimy loco yard. Nicely modelled and captured the area and era perfectly. The last of the 4mm layouts was Horfield a through station on the main line two miles north of Temple Meads Bristol. The layout was based in the period between 1955 to 1961 reflecting the changes in motive power from steam to diesel.Many of the named expresses are featured along with long freight trains and local passenger. It portrays a four track section with up and down main and slow lines. A nice layout for train watching each sequence lasting about an hour. Moving down to 3mm scale was Heybridge Wharf based somewhere in Suffolk with a terminus station alongside a wharf. Only measuring 50 inches in length and built to fine scale standards it showed what could be achieved in such a small space. There was a nice model of Boot the upper terminus of the Ravenglass and Eskdale railway. Modelled to a gauge of ¾ inch the model the railway is set up in the Cumbrian fells and served the small village of Boot. The railway had two locomotives and with very few photographs available of the railway certain assumptions had to be made. Locos, stock and track were all scratch built to a very high standard and the Scenics really captured the bleakness of the railway. Another super layout by Peter Kazer. Going down again to 2mm scale there were three superb layouts, the first being Jerry Clifford’s ‘William Smith’s Wharf’ which is an extension of his larger layout Tucking Mill. 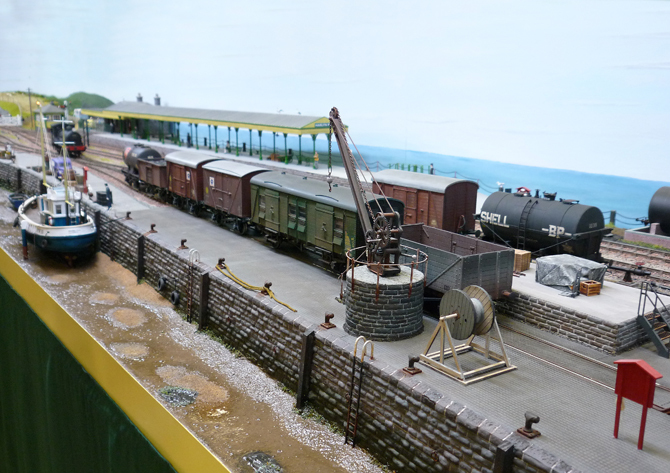 Based on the North Somerset Light Railway it portrays a Wharf scene similar to Biccslade in the Forest of Dean. The layout is only 2 feet long and everything has been scratch built with the track built to 2mm finescale standards. The next 2mm layout was Hallam Town a model built to the well known Minories design representing a small and cramped city terminus. The track plan is faithful to the original concept but has been much lengthened which allowed for longer trains and more generous curves, a bit more like the real thing. The model is based in the 1970’s in the BR era in South Yorkshire serviced by DMU’s and the odd loco hauled trains. Passenger, parcels, newspaper and the occasional empty workings giving a very busy scene. 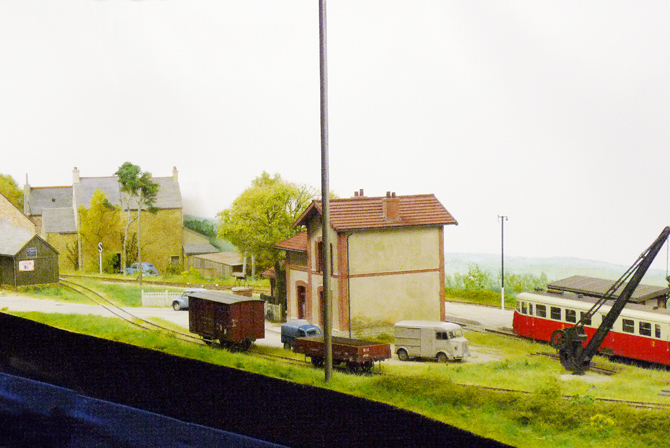 The final 2mm layout was the wonderful ‘Fence Houses’ a section of the original main line to the North. Being some 24metres long it beautifully portrays the scene, running full length trains on 2mm finescale track. 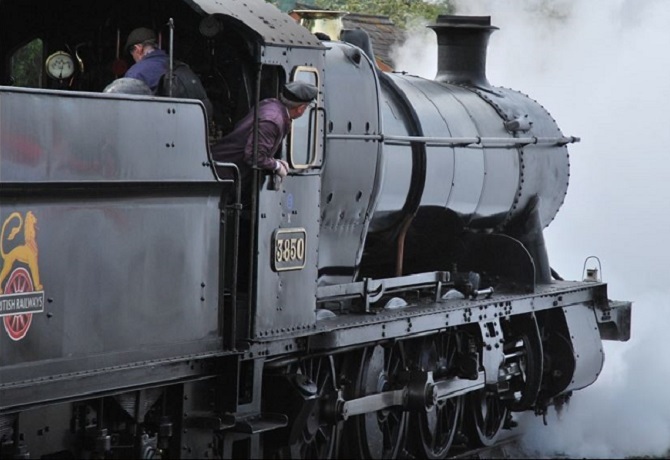 Trains are representative of the period and the Scenics and buildings are all to the highest standard. Many of the locomotives running are built from the Fence House range of kits others are from members of the society all running on finescale wheels. Rolling stock was from a mix of kits and rewheeled and detailed commercial models. 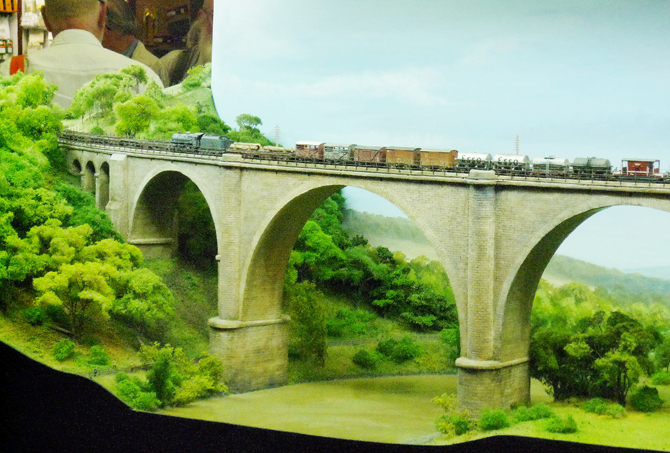 At one end of the layout was a superb model viaduct over a beautifully modelled river valley. Great modelling. All these wonderful layouts were supported by around forty trade stands supplying everything you might need to further your own model railways. 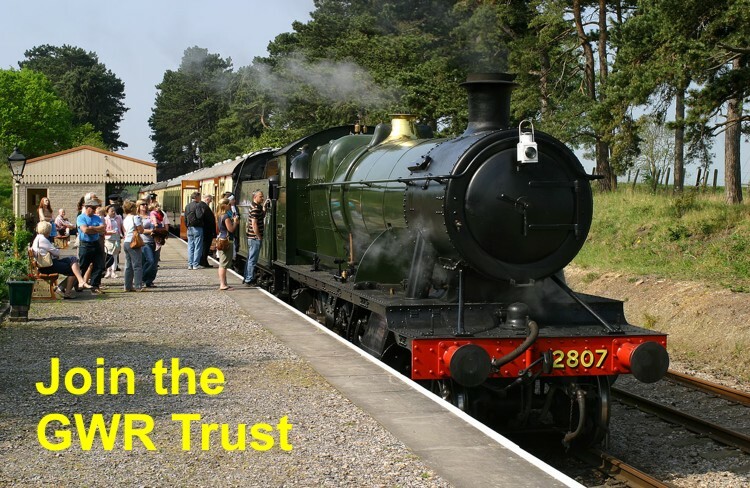 It was a superb show presented by the Risborough & District Model Railway Club and congratulations must be extended out to them on a wonderful day. I for one will be back next year. I am pleased you enjoyed the show, and hope you will indeed repeat the visit, David does a fantastic job year on year, producing what is arguably the best show of the year. It’s a definite visit for me, even though I live quite a distance away in Derbyshire. I am the other half of the Tollesbury Quay operating team (i.e. not the builder, just the unpaid hired help! ), so pleased you liked it. Martin has been talking about the layout (particularly how to make the tide work), and building it for many years, and the end result is quite breathtaking. The tide going in and out causes great interest, friends of ours on Kirkmellington, were telling us about people saying they had to be back at TQ shortly to see the high tide! Highlights of the weekend for Martin where the guy who lived 100 yards off scene through the fiddle yard, and a guy on Sunday, who had actually ridden on the Tollesbury Light Railway. As for the sky, we did actually have the cloth with us, but had forgotten to pick up the fibreglass poles that hold it up (a bit like a tent), there they were looking at us accusingly from the bedroom floor when we got back. 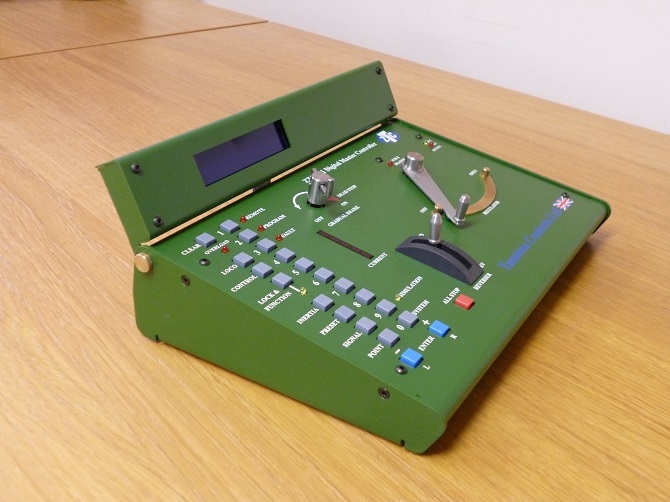 It did create some interesting tales of what people have forgotten to take to exhibitions though – legs, stock, control panels! As for seeing TQ again, I wouldn’t hold your breath, as anyone who asked for details could tell you, the first line of his contact details says “I don’t like exhibiting”, so not sure when it will be out again, even though a number of people asked! !